"In this book, the timeless mysteries of opium, the nectar of the gods that has entranced alike the seekers, visionaries, and lost of the ages, are delved with an intimacy and depth of knowing as never before. This is, simply and superlatively, the best and most entrancing exploration into the fabulous, forbidden, and little-understood world of opium; simply and superlatively, the only book written from within that world, the only book about opium worth reading through which one truly may enter the world." "This book opens the long locked gate into the sacred, self-contained world of the opium smoker, a world complete with its own ritual and culture, its own philosophy and values, its own ways and means. 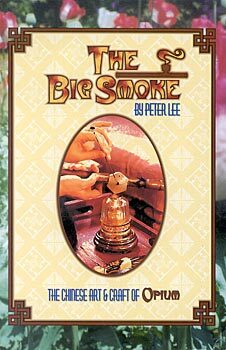 Peter Lee reveals this hidden world to the reader with a sure and knowing hand, explaining ever fascinating facet from pharmacology to philosophy, history to horticulture, artistry to craftsmanship. Of particular interest to the contemporary reader are the medical and psychological aspects, and the highly informative interviews with smokers. This is one of the most interesting and informative books I've read in many years, a real treasure trove of exotic arcana."